Having 2 road bikes, traditional (BMC SLR01) and aero (Trek Madone RSL) I found myself wanting something a bit different. 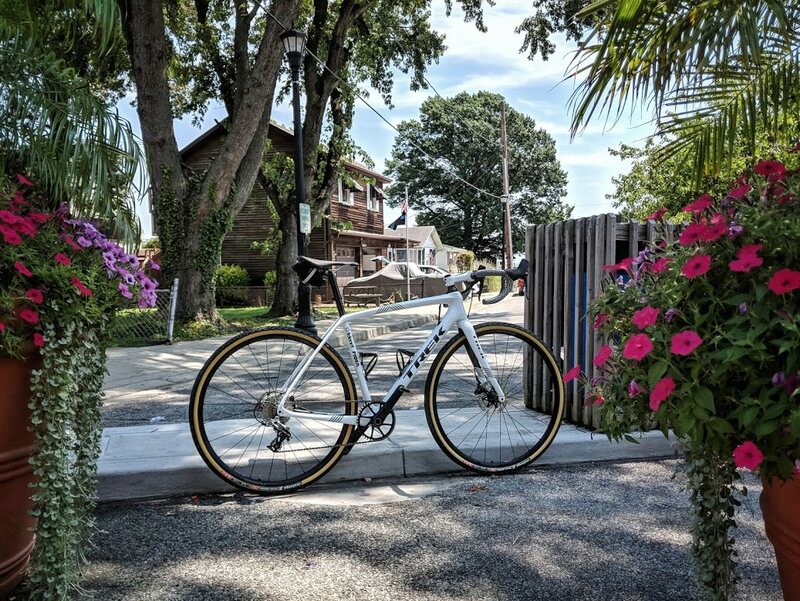 Feeling sometimes burned out from riding same roads I wanted something to have the ability to ride some fun gravel roads, light single tracks and maybe even try cross. This is sort of on the budget so I'm piecing parts little by little. The base for the build will be the white Trek Boone RSL frame in 54cm. Nothing RSL about it outside the nice paint job. I really wish manufacturers provided some more options to choose from at least stock color options. /rant. While on the frame...ISO Speed decouplers are the real deal. Makes the Madone quite comfortable so having this in front and rear should make the bike quite comfy for longer rides. 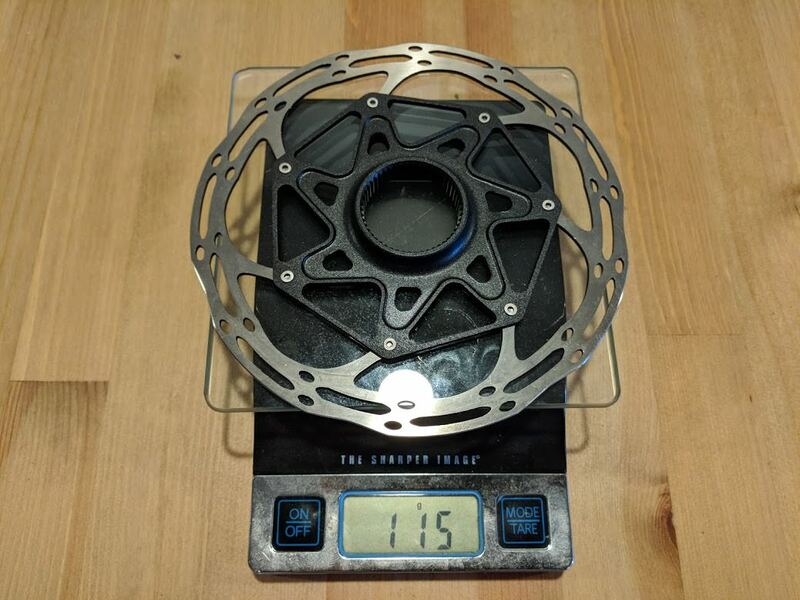 With the option 2 I'm saving about 80 grams overall, getting hubs with DT Swiss internals and saving about $150 bucks. Not sure how much aero would matter with a fatter tire. Option 2 seems more sensible but open to suggestions. Also, unsure on rotor choice yet. I think I might do 160mm in front and 140mm in rear. Should I keep everything Sram or are Shimano rotors better? The Boone is nice. I have had one for a couple of years which I have used as a fender bike for wet roads and I have been tempted to use it for gravel duties. 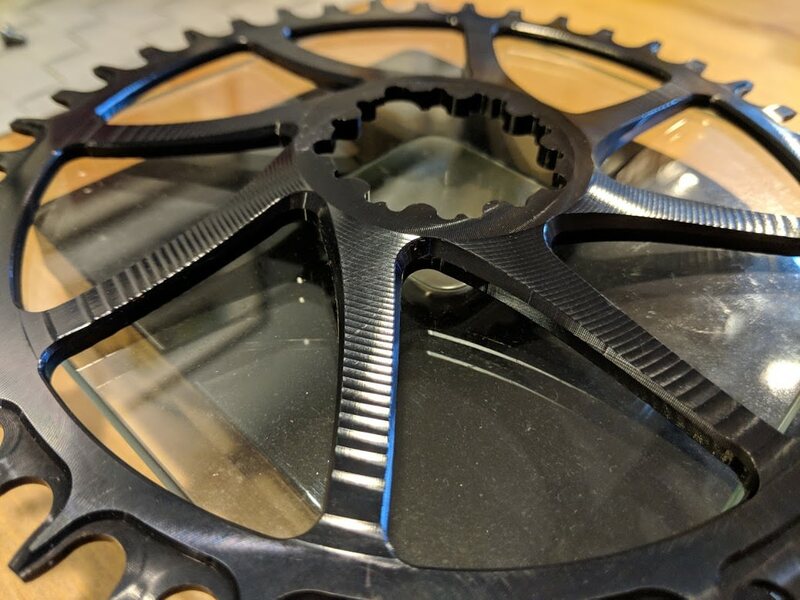 What size chainring are you planning to use? 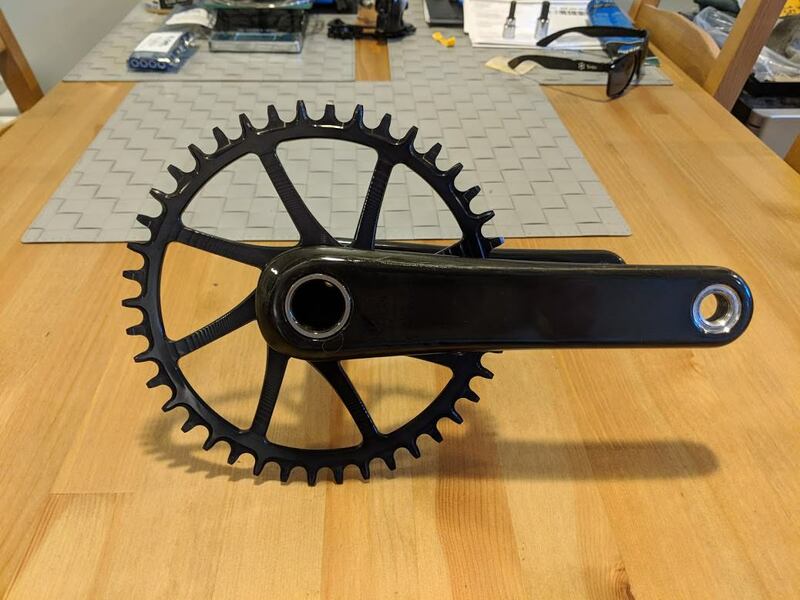 I ask because if you get adventurous and have to face 20% gradients even the smallest ring which I beleive is 36 tooth, will mean a tough gear with your 32 tooth sprocket. 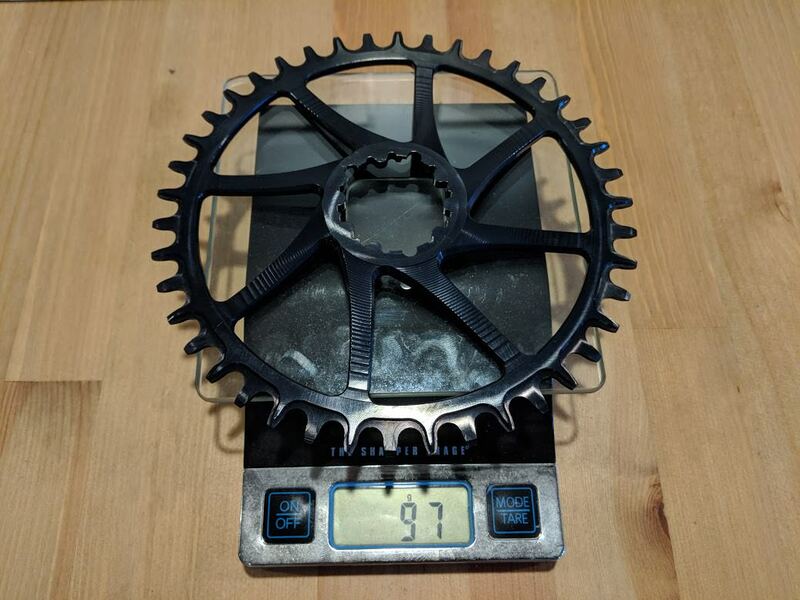 I stayed with double chainring setup for this reason so I could run 34x34 or perhaps 34x36 as my easiest gear. 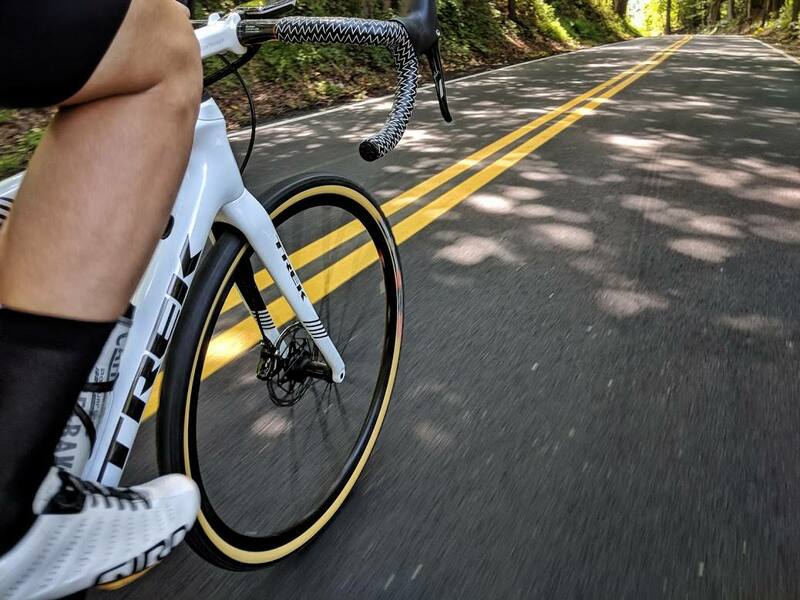 What some people forget is once you put on large tires that 32 is going to feel more like 30 or 28 with road tires. And steep on gravel means seated climbing only. Of course if the terrain is flat, no worries. Looking forward to this one, I absolutely LOVE that white boone frame, just realllly wish they routed the front brake hose internally. Not a deal killer though. I agree with Mr. Gib though, I think you're going to want some different gearing if you do a lot of gravel. I run a 42 x 11-32 for cx racing (and will replace it with an 11-34 when its worn out) and a 42 x 11-42 for gravel. I initially thought that the 11-42 would be overkill but there have been a number of times when I've been happy to have it. Mr.Gib - I will be using a 42T chainring. For the terrain I am in I should be fine with that and a 32t cassette. I already have one so I will start there. I know I can fit a bigger one if needed and might look at either a 34t or go for the monster 42t and call it a day. wrenegade - I really dig the white as well. It's a bit funny as I'm pretty OCD about keeping my bikes clean and the bike that I'll get dirty most is white! You also hit the nail on the head with the front hydro hose routing. I really wish it entered the fork on the top like many others. Probably for the next update. I did talk to my dealer and was told that we probably won't see an update to the Boone till 2019 cross season. I posted this on a FB conversation, recently. With the disc brakes, why not go with some open mould wheels and custom build the wheels? You don't have to worry about the rims warping or melting. 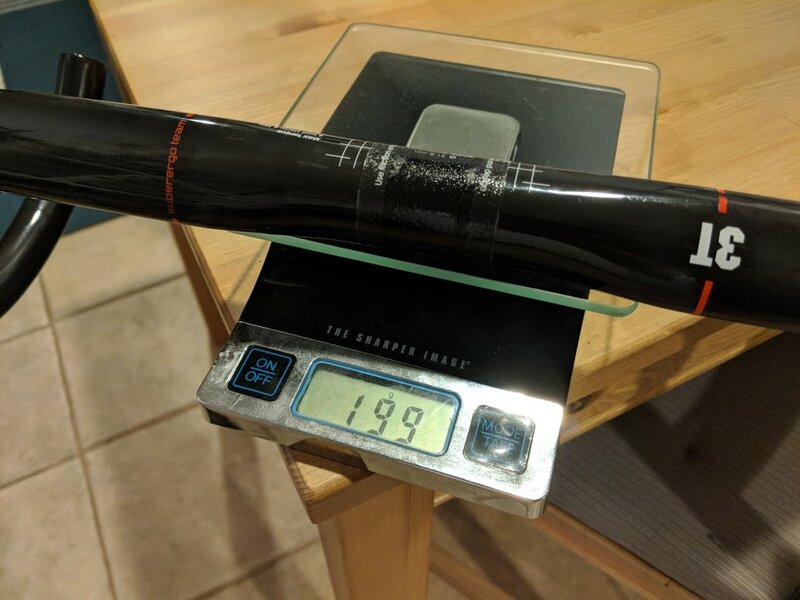 I have a set of tubulars weighing in at around 1400g, built around 25mm wide, 35mm tall rims and Stan's 3.30 hubs. I had them laced at a local shop, and total cost was under $800 for the set. 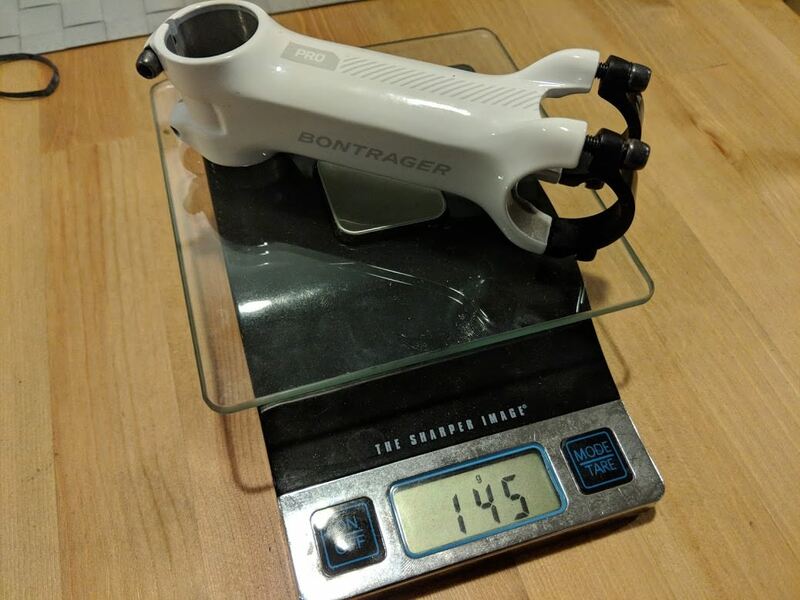 The Pro TLR's are nice, but Bontrager really cheaped out on the hubs (they aren't DT Swiss). The Elites are nice, however. It all depends on cost. That's a decent option but since I'm on a team where I can get a bit of a price break on trek and bontrager gear I'll probably go that route. i do have the Pro3 wheels in the rim brake version on my other bike. Although the hubs are not DT Swiss they haven't been horrible either. So far so good. Mainly they are a bit heavier and have a standard 3 pawl ratchet system in the back. If you've got a team hookup, then by all means, go that route. 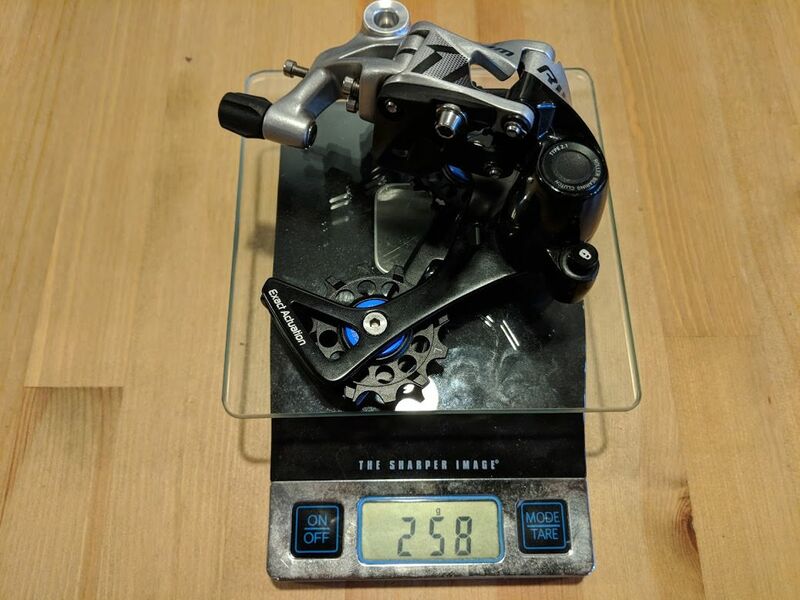 My only concern is that if you're looking at going with 12-speed in the future, the freehub on the Pro series won't likely be upgradeable, since Shimano's standard (if the mountain bike standard rolls out to road) appears to be locked into Shimano and DT hubs, only. You could always use XD-R in the future, I would imagine. FIJIGabe - that's a good point and it was one of the reasons why I ended up going with the Paradigm Elite wheels. Parts have been trickling in and hope to have everything this week and maybe begin the build by weekend. The weather has been crap with lots of rain which gave me a chance to work on the crank arms. The Sram/Quarq ones I had were pretty beat up so I decided to sand them down to carbon and clear coat them. Not my best work but came out decent for a spray can job. I also received the Garbaruk 42T direct mount chain ring which came in at exactly as advertised 97 grams - kudos! The machining work is quite nice and the whole set up looks super clean! 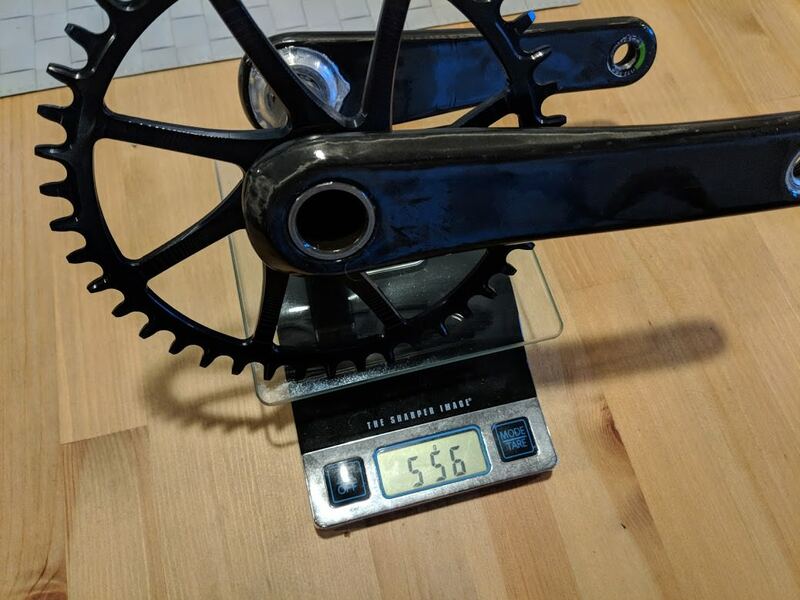 The weight for the complete crank is 556 grams which I think is not bad given multiple coats of clear coat. I also have the rear derailleur - Rival - on which I upgraded the pulleys to a set from Kogel. I also have Kogel BB bearings that will go in the frame. Natuartally I went with cross seals. Super excited for the build! Benn crazy busy but made more progress and the build is pretty much done! Still need to make some adjustments to brakes as I think they are not perfectly centered and I get a bit of rub. Really stoked about the tires. The are the maximum size I can comfortably fit without risking rub and feature a nice thread and extra layer of puncture protection. Plus they look sick. 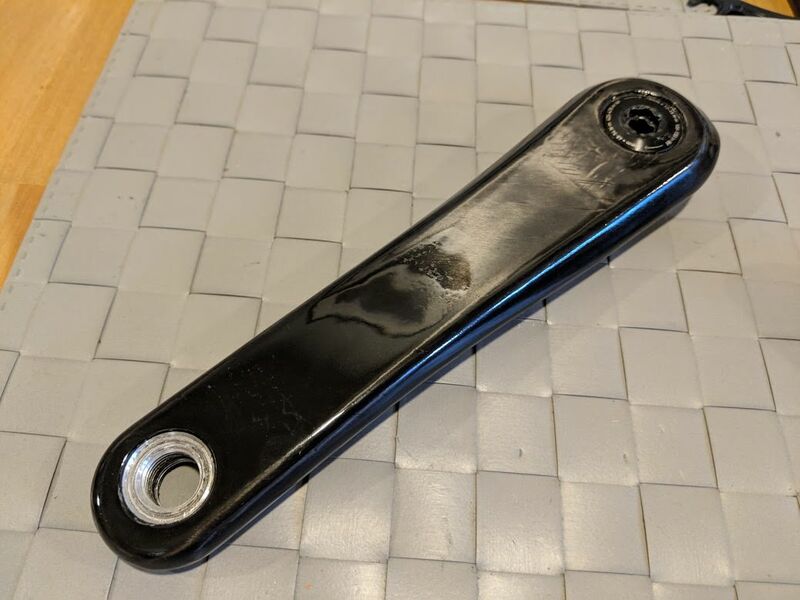 Didn't grab a photo but the frame and fork weights are pretty respetable. 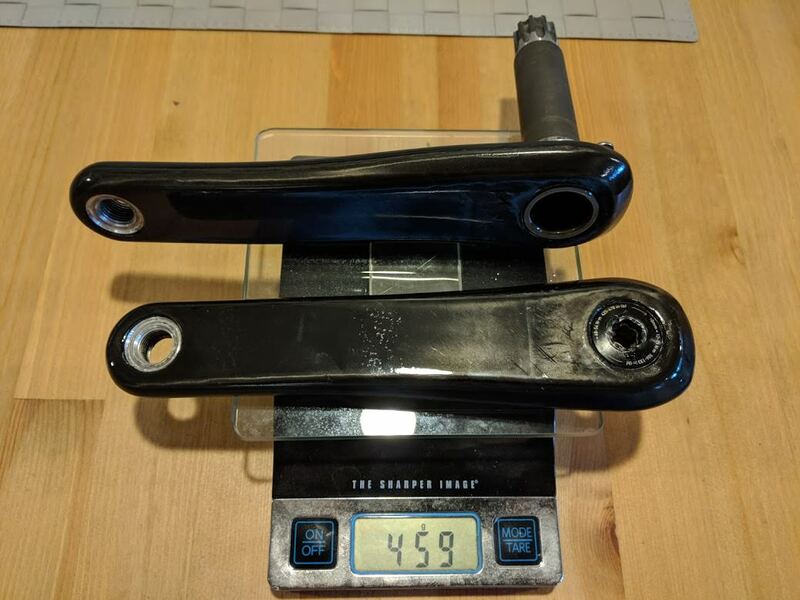 Frame was 1165 grams with part of the seat mast (not including topper) and the alloy bits that make up the front ISO speed. Fork uncut was 400 grams. Wheels minus rim strip and disks were 1540 grams. I got working and finished the build around 11pm and went on a mostly road spin the next day to see how things feel and let everything break in. A proper gravel ride is coming. 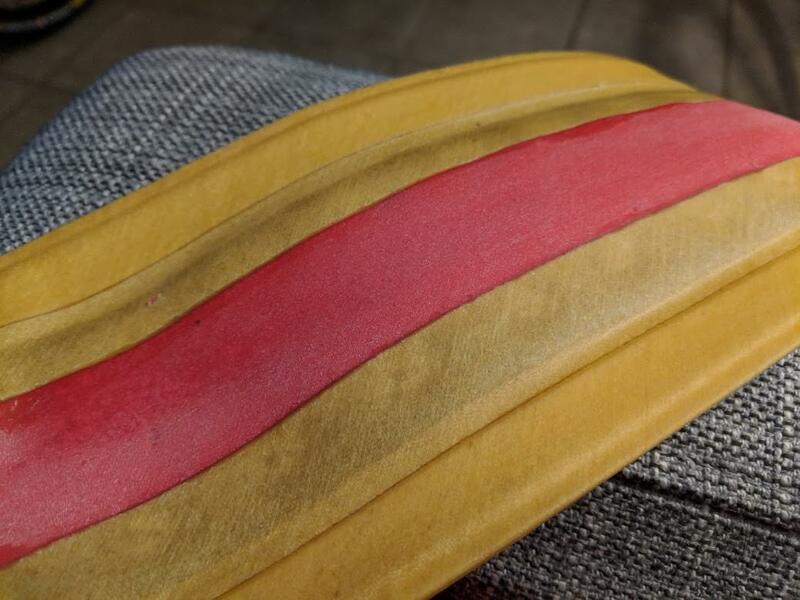 Here are two teaser shots and will post more close-ups soon! The ever-scientific bathroom scale puts the complete build with pedals at 17.6lbs. I'm sure some of it comes from the Rival group vs Force but i'm not too worried about weight here. It would be cool to drop it to 17.5lbs and I'm sure I can hit that with cross tires and definitely with road tires. 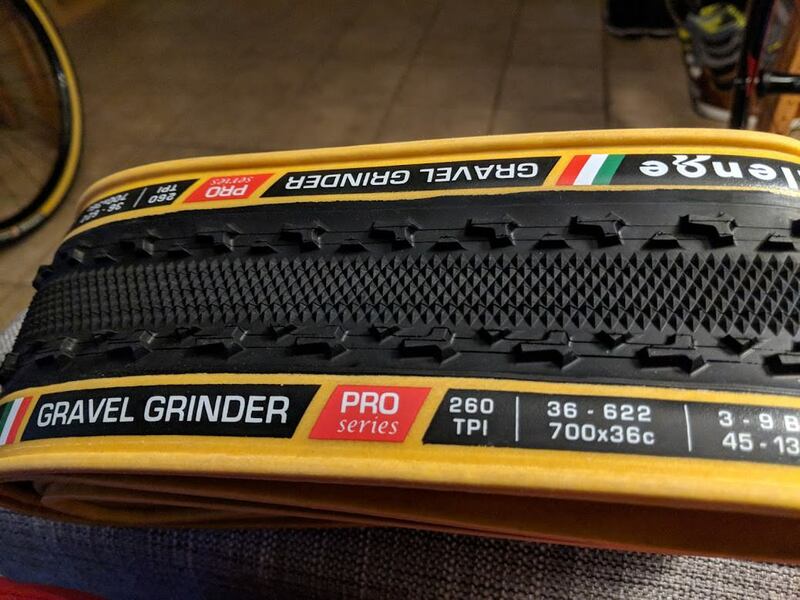 Surprised you didn’t go with the new tubeless version of those tires. Is the 38c really too large? Think the only tubeless version in brown wall is 33c. Love this! Not usually a fan of busy bar tape but it totally works here. Fantastic job! I'm not completly sold on going tubless for general riding just yet. I get the benefits and all but in an event of a puncture that doesn't seal I don't want to deal with the mess and just prefer a tube. Hopefully with the new double protection on those tires that won't be a common occurance. wrenegade - thanks! I typically go for all white or black tape but this design works really well indeed. Took me some trying to line up the pattern best I could. That's some serious ocd! 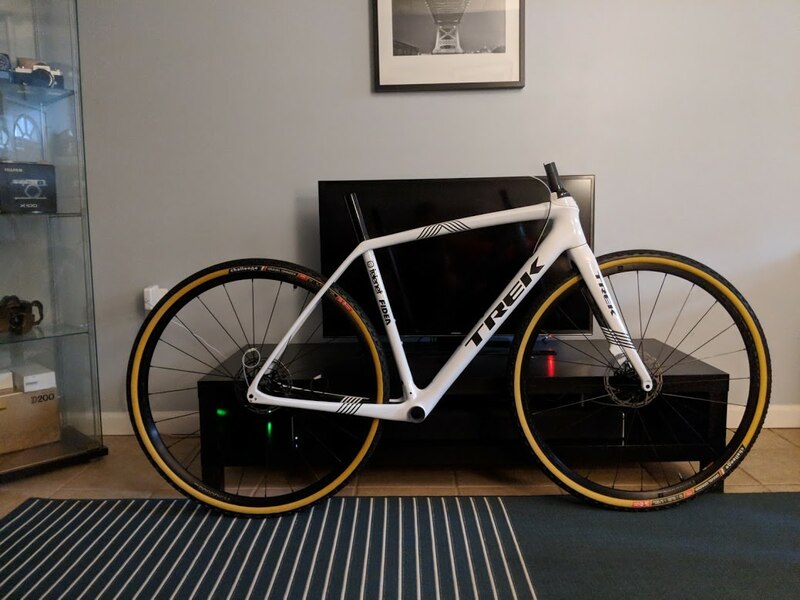 Largest tires on Trek Boone?